SKU: N/A. 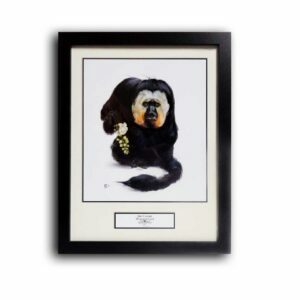 Categories: All Shop Items, Branded Gifts, Clothing. Tags: 2012, bungee, jump, leap, shirt, t-shirt. We have a limited number of t-shirts available from our recent fundraising event, a 165ft bungee jump which took place at Monkey World – Ape Rescue Centre. 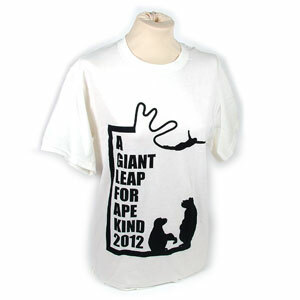 These white t-shirts show “A Giant Leap for Ape Kind” on the front and have the Jim Cronin Memorial Fund logo on the back.